From the beginning of time, when God created the heavens and earth, He made it clear our names are important and good! Adam was the first name given. It was derived from the Hebrew noun, “adamah,” which means land, ground or soil. As I write this post, I couldn’t help but reflect on how much time and effort we humans put into selecting a name for our children. For instance, my wife and I adopted a beautiful baby girl in 2016, and though we previously had a name picked out, it, in fact, started to change the moment we saw her, and held her in our arms. We actually brought her home with a name given her by her amazing birth parents, with the intention of choosing a name after we had a chance to get to know her. 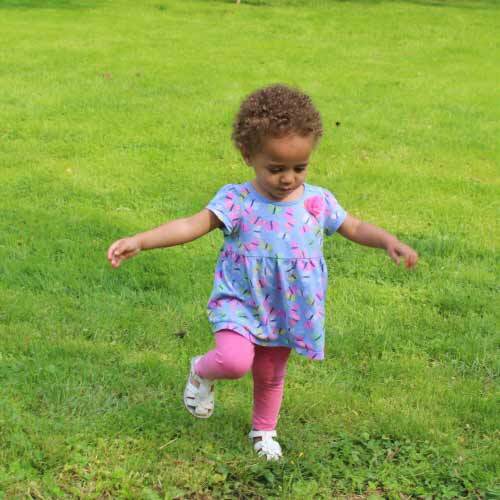 It took us just one day to realize what a peaceful child she was, and in no time we chose the name, Olivia, meaning “olive branch,” or “to offer peace”! I’ve got to show-off my baby! I say this because an important part of what we do at Newline Trophy is to help you name yourself! 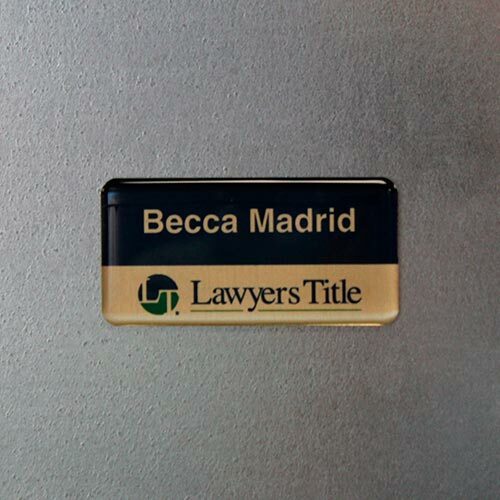 With hundreds of options for engraved name plates, name tags and badges; printed name tags and badges, and epoxy-coated name tags and badges, you’re sure to find a solution for letting the world know who you are. There are significant benefits that derive from using and wearing name tags and name badges in the workplace and during volunteer opportunities. Such identification can be used for marketing and/or security purposes, or simply as a conversation starter. Following are several reasons for using name tags and badges to elevate you above your competitiors. 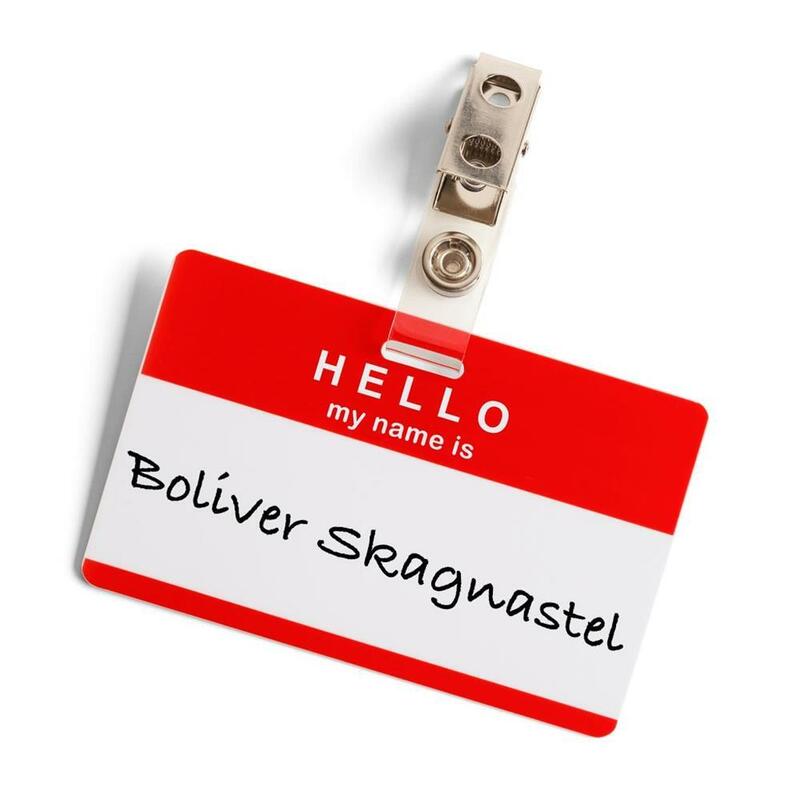 Identification:Many of us struggle with remembering names when in a large company or environment where we’re confronted with meeting people new to us. For example, a chamber of commerce or community gathering, where having our name and logo prominently displayed is not only smart, but is a way to help those we meet (many, our potential clients) feel more comfortable engaging with us. Large corporations, where new employees are often the norm, can benefit from their “newbies” feeling more at home in an environment where peers are not put in the awkward position of wanting – or having – to remember their name. Like a sign on a company vehicle, the name tag can establish a status in which the employee is percieved to be on a higher level in representing the company. Marketing:In a marketplace where competition is fierce, and company branding is crucial, marketers must take advantage of every opportunity to place their name in front of potential customers/clients. 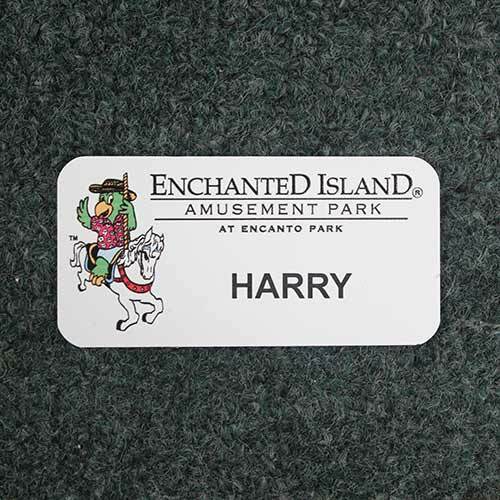 By adding a logo to name badges, not only will employees be easily identified by name, but brands will be prominently displayed in full-color and/or engraved name tags. When in retail, fast food or corporate environments, people commonly will wear them when dining out, or stopping-by a store,etc., giving brands still more bang for the marketing buck. Conversation:Several years ago, we had a client who owned The Landmark, a very-well-known-and-respected restaurant in Mesa, AZ.Don, the owner, was a “master of marketing,” and we created engraved name tags containing servers’ first name, where they were raised, and the number of years they had been employed there. Don was extremely pleased with the way placing such basic information on the tag had made his diners feel more at home, and, often times, it encouraged meaningful interaction and conversation.The Landmark,in a historical building in Mesa, was successful for many years. The property eventually was sold and converted to a wedding and event venue. Don would insist to this day his name badges were a large part of the “at-home” feeling his diners experienced every time they graced his restaurant. 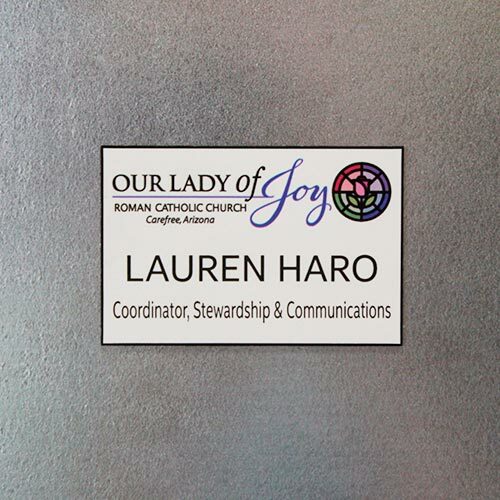 Hopefully, now that I have laid the groundwork for why name tags are important, we can take a look at a recent project in which we created beautiful, full-color name badges for a client. 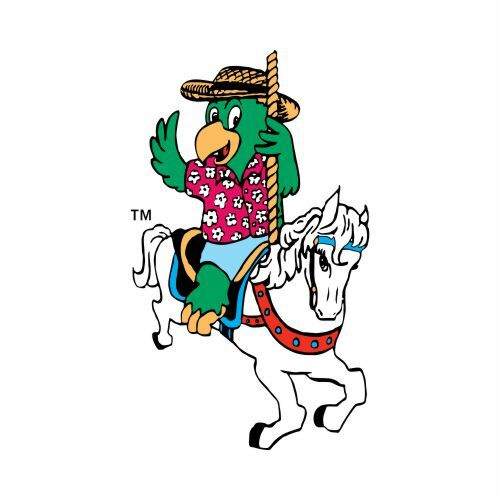 It began with a phone caller asking if we could place a company logo in full color on a name tag. We received an email with images of what she had done prior to choosing Newline Trophy i.e. her logo and a list of names. In this case, our client didn’t have a high-quality logo, so our artists recreated the logo in vectored format, to ensure a quality end-product. 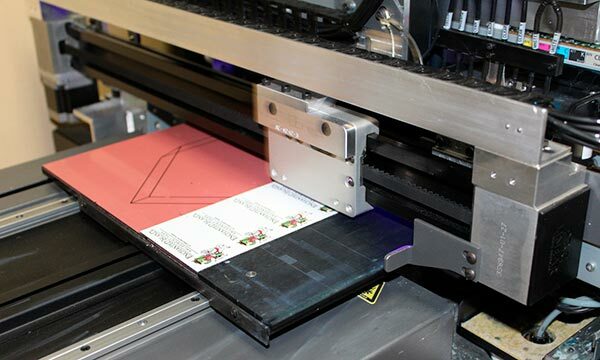 Since we would be using our UV direct printer to apply the full color logo on the plastic tags, it was important to create a virtual proof prior to running the job. This would ensure the client would be pleased with the layout and name placement. 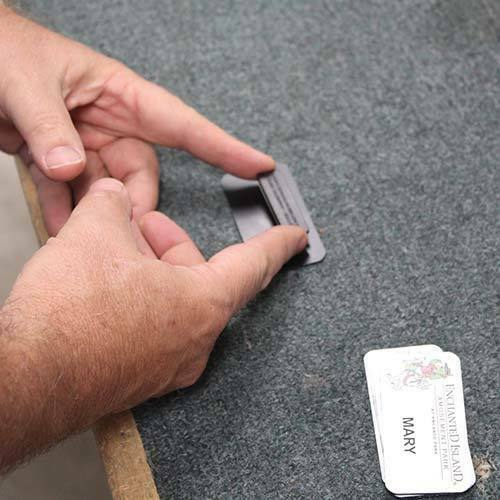 Note: since our client was ordering name tags on a regular basis, we preprinted several blank badges with the logo only, so at a later time we could laser-engrave the names, as needed, to keep recurring costs down. Our superior design capabilities and variety of execution techniques help account for Newline Trophy being recognized as the preeminent name tag and name badge manufacturing company in the United States. 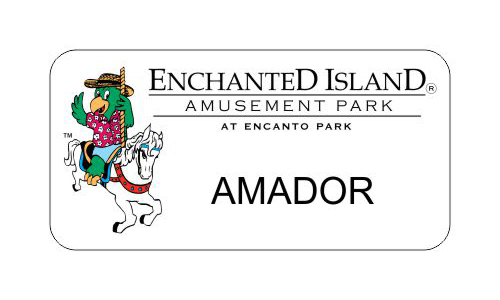 With unlimited design possibilities, use of colors, custom shapes and logo applications, we are capable of creating one-of-a-kind name tags to represent and enhance brands. 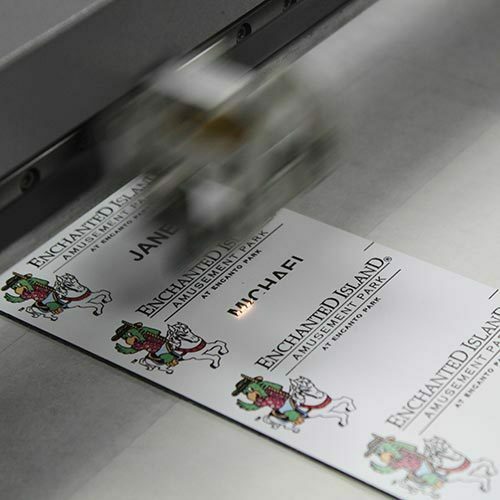 This is a photo of the direct printer; often used for printed signs, tags and name badges, as it places the Enchanted Island logo on full-color name badge blanks. The next step in the process is to have our laser engraver personalize the name tags. 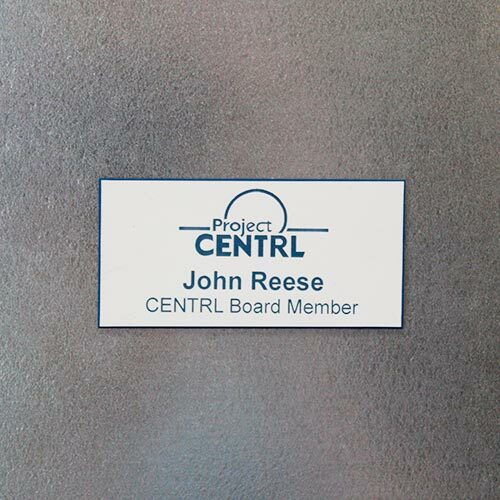 These images show the name badges in the laser engraver as we affix our client-personnel names and titles. Next, we clean and attach the magnetic name tag backs, and package them for shipping or delivery. Images of cleaning, attaching backs and packaging the tags. Our client requires staff to wear the badges when they are on site. We, therefore, have created very professional badges, with a full-color logo and laser-engraved text that in normal use will last a lifetime. 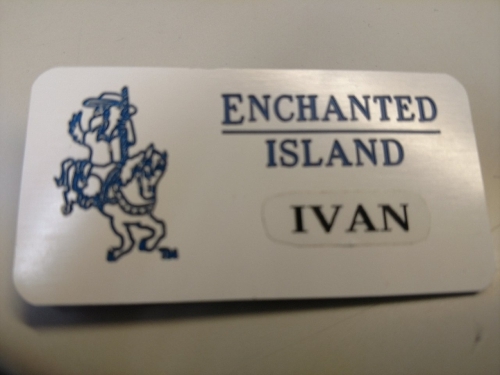 We hope you enjoyed this post on custom name tags and badges, and we would appreciate an opportunity to discuss your next project with you.